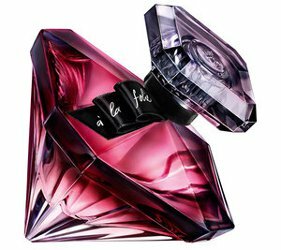 Lancôme has launched La Nuit Trésor À La Folie, a new fragrance for women. La Nuit Trésor À La Folie is a flanker to 2015's La Nuit Trésor (which was a flanker to 1990's Trésor) and follows 2016's La Nuit Trésor Caresse. La Nuit Trésor à la folie is inspired by the one and only moment when true love is at its climax. A unique moment of “lâcher prise”, meaning, when time is suspended. Lovers are transcended beyond themselves and experience the thrill of love: an indescribable feeling that makes you forget everything and lose control. Additional notes for the oriental fragrance include pink pepper, bergamot, jasmine, peony, amber, tonka bean and musk. Lancôme La Nuit Trésor À La Folie is available in 30, 50 and 75 ml Eau de Parfum. So many flankers of the flakers of the flankers….I still have a bottle of the original one that I bought ages ago. I rarely wear it these days, but I appreciate it when I do. This one, sadly, is only a flanker of a flanker. I have been waiting a long time for another flanker of a flanker of a flanker — they are more rare than you might imagine. I doubt I will see this one, the last one never showed up around here. I don’t know if Caresse showed up near me or not! I think Lancome keeps their fragrances at their own counter, and so I miss them. That’s an attractive bottle, if it looks as good as the photo.